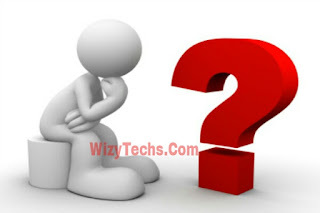 Is Your Airtel Free 1GB Weekend Night Data Working? As of this day last weekend when i tested the trick on two airtel lines, it worked perfectly with fast speed (no throttling). It works both on 2g network and 3g network without issues so i decided to publish it here for you guys to enjoy this weekend. So guys i want to know if you got the airtel 1gb data i posted here some days ago. Is it working for you? Let the house know by commenting via the comments box below. Remember Etisalat will start free automatic renewal of the awuf 4gb pension data for all the guys that enjoyed it last time we posted it here. Keep tuned!!! Hello Mr Wizy, thank you for all your great work and amazing effort to help thousands of people through this site. Browsing with it but am unable to check my data balance. Does this plan works only at night if yes from which hours? Is it only at night? Bcos mine s not working as @ d tym am posting this. What hour of the night pls? Guys it worked for me last Night o. Just restart your phone in the night and start flexing. That's what i did and it started browsing. Hi Flexy, unfortunately the activation of 2g data plan automatically disables other active data plan on the same airtel line. That's why it is advisable to do the airyel 2g network plan on a SIM with no active data plan.